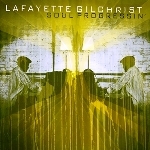 Lafayette Gilchrist is a bright, young piano star based in Baltimore. Born in Washington, DC, Gilchrist taught himself piano and has been plying his own brand of Jazz-inspired music for over ten years. He is certainly knowledgeable and mindful of the Jazz tradition, but as Gilchrist says, “I see myself as a child of the Hip Hop nation. Hip Hop doesn't have a deep instrumental voice in its thing right now, and we need to represent in that vein. Hip Hop as a culture has grown up a little now and the musical part of the culture has to grow and expand with it. I see the music I'm doing as representing that ‘cause it's where I'm from.” Recently, he has worked with superstar saxophonist David Murray in his Octet, as well as recorded two albums under his own leadership for HYENA Records, Towards the Shining Path (2005) and The Music According to Lafayette Gilchrist (2004). All About Jazz musician pages are maintained by musicians, publicists and trusted members like you. Interested? 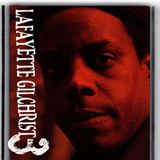 Tell us why you would like to improve the Lafayette Gilchrist musician page.